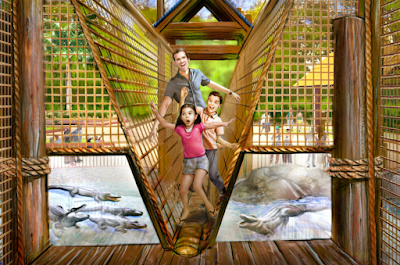 Wild Adventures will bring a new children's area to the park in 2019, themed around alligators, the park announced today. 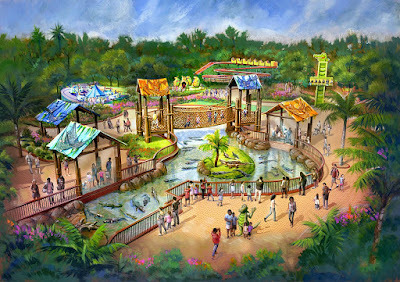 Seen above in concept art, the land will feature a total of six rides for families along with an a new exhibit featuring American alligators. The expansion will be located near the park's main entrance, and the six rides appear to be a mix of new and refurbished and rethemed existing rides at the park. They will include rides such as the Okefenokee Express, Flying Gators, Turtle Twist, Swampwater Snake, Hoppin’ Gator and Okefenokee Friends. The Swampwater Snake appears to be a Zamperla Fiesta Express coaster, one of which operated at the park until 2011 - so perhaps the same ride is being brought back. Each of the ride will carry an alligator theme, matching the surrounding land. 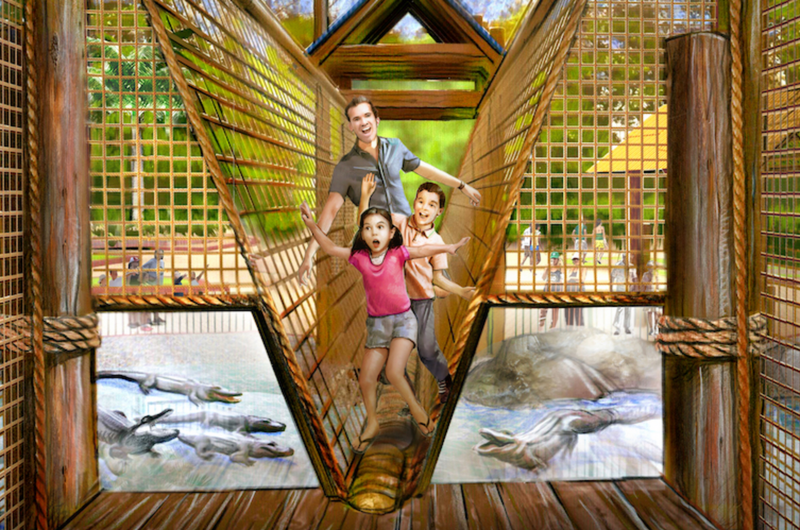 The center of the area will feature Alligator Alley, a new exhibit filled with alligators. Depicted above is the Gator Crossing Rope Bridge, which allows visitors to pass directly over the alligator exhibit on a rope bridge. 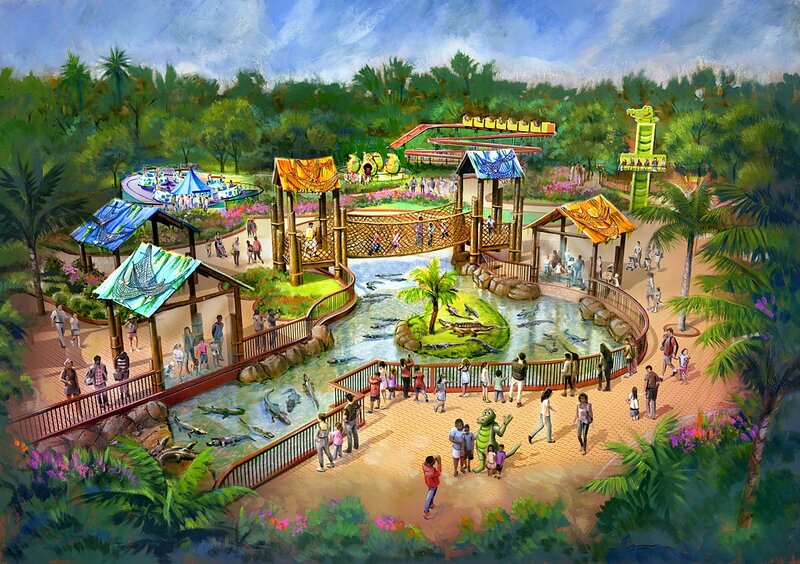 The area will also feature a new show, titled Gators!, and the opportunity for guests to feed the animals as well. The new land will feed directly into the park's Alapaha Trail, which features a swap setting filled with additional animal exhibits. Construction will start this October with a planned opening of the expansion in March of 2019. Wild Adventures is also introducing a new Pre-K kids' season pass, free of charge to visitors ages 3-5. Once guests register online they can bring their little ones to the park the rest of this season along with all of 2019.